HSA & Associates provides structural engineering services to a myriad of partners in tilt-up construction and beyond. The volume of structural design and construction support services each year is for over 70 new buildings, accounting for more than 20 million square feet of space, and at a construction cost of close to $1 Billion dollars. Our innovative designs and dedicated services have gained us national recognition on major distribution centers, class “A” office buildings and shopping malls. While specializing in tilt-up construction, HSA & Associates have the capability and the expertise to perform on any project. Capitalizing on our prior experience of working on major national and international projects, HSA & Associates is fully capable of providing structural engineering services for a variety of commercial, institutional and public, new and existing, buildings. Whether it is a tilt-up warehouse or multi-story office, our approach is to listen to the client’s needs and transform them into elegant, cost-effective and successful project from inception to completion. Creativity, Collaboration and Commitment are our core principals. HSA & Associates is a leader in implementing state-of-the-art technologies, such as Passive Energy Dissipation Systems. Our in-depth understanding of structural systems and our significant contribution to the development of performance-based engineering has given HSA the ability to develop cost-effective structural systems that meets the client’s needs. Our construction-driven design approach is an essential ingredient to a successful project. Collaboration is a vital ingredient for us to perfect our designs and deliver exceptional value to our clients. The collaborative process enables the design-built team to overcome challenges through innovation that arises out from an exchange of ideas and dialogues. It takes a whole team to deliver a successful project and we pride ourselves as a great team player. HSA is very committed to project success! Our commitment starts with the project inception and continuous all the way to completion. We are committed to innovative, constructible, cost-effective design that embraces architectural concept, meets site constrains and keeps the project under budget & on schedule. We are very committed to supporting the construction team through timely responses and innovative solutions. 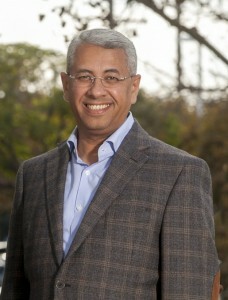 Rafik Gerges, Ph.D., P.E., S.E. Rafik has over 25 years of experience working in consulting Structural Engineering. Prior to joining HSA, Rafik has worked at John Martin & Associates, ARUP and Nabih Youssef Associates. He assumes responsibility for design and construction support of major distribution centers, built-to-suit industrial facilities, office buildings, shopping malls, and variety of other projects. Rafik has delivered many successful new construction and seismic retrofit projects in California, across the United States and beyond. Darin has over 25 years of experience in Structural Engineering. 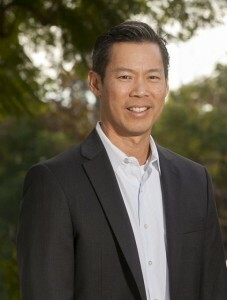 He joined the company in 2013 as a principal. Prior to working at HSA, he worked at Kramer Engineering, Inc. (formerly Kramer & Lawson, Inc., Structural Engineers). Darin assumes responsibility for overseeing engineering design, in-house quality coordination check, and construction management for a variety of major projects which include multi-story tilt-up construction, refrigeration and manufacturing buildings, large distribution facilities/warehouses, light and heavy timber construction and seismic retrofits and remodels.